Gianvito Rossi sandal in leopard-print satin and scalloped floral lace. 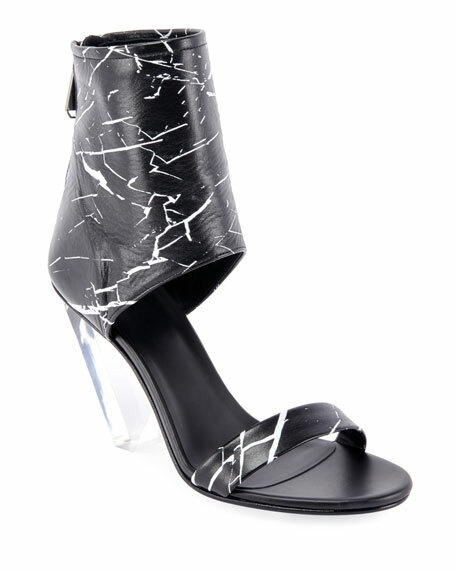 Balmain "Jody" suede and mesh sandals. 3.8" covered stiletto heel. Open toe. Lace-up vamp. Cutout sides. Leather lining. Smooth outsole. 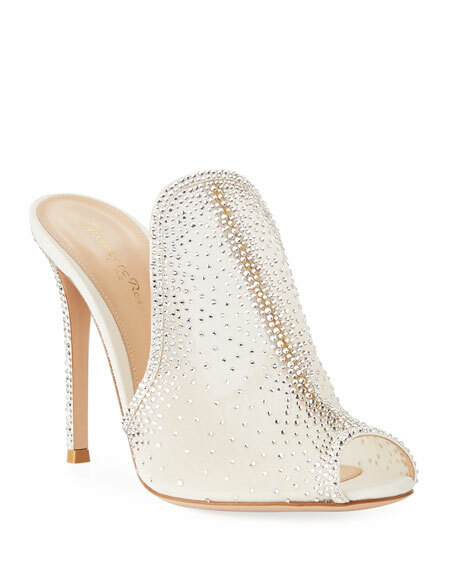 Gianvito Rossi metallic calf leather sandal with crystal trim. 4" covered stiletto heel. Strap bands open toe. Asymmetric vamp. Adjustable slingback strap. Leather lining and sole. Made in Italy.